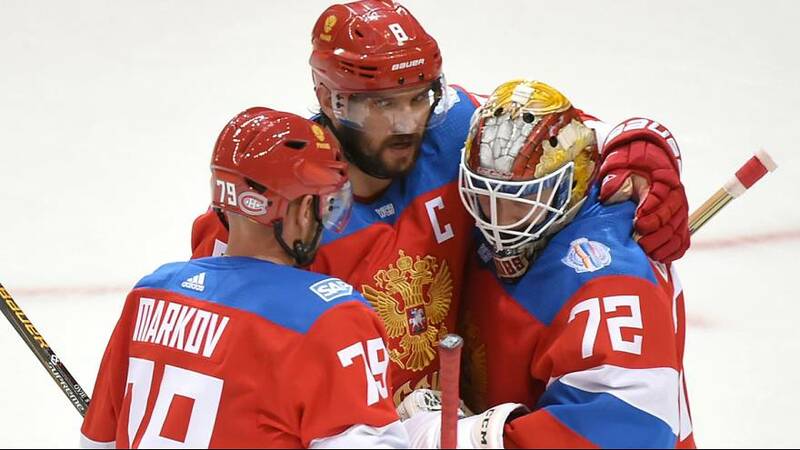 Russia advanced into the semi final of the Ice Hockey World Cup in Toronto with a clinical victory over Finland. The Finns nearly took the lead early in the second period, but Granlund clipped the post. Russia then moved up a gear and the pressure paid off when Vladimir Tarasenko finished off a give and go with captain Alex Ovechkin to put Russia ahead. Russia’s second came 79 seconds later when Ivan Teleginz rounded Tuukka Rask, the Finnish goal minder. Evgeni Malkin made it three in the third period to consign Finland to a third defeat in the tournament. Russia will meet hosts Canada in the semis.